Google has officially chosen the winner of its yearly Doodle for the contest organized by Google. And then there is a second grader who has come forward from Virginia stands above the rest. 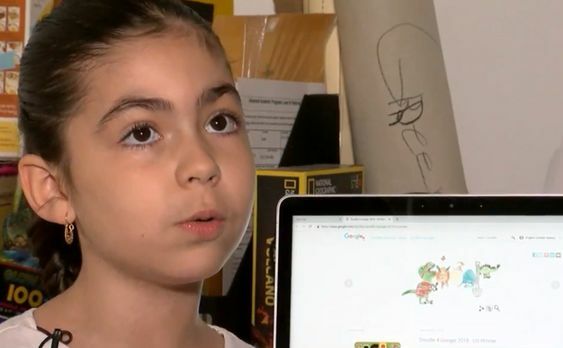 The name of the second grader from Virginia is Sarah Gomez-Lane, and Gomez-Lane’s dinosaur doodle has made her win a college scholarship of around $30,000. Gomez-Lane has drawn a line of dinosaurs who shapes resemble the letter that spells out “Google.” Gomez-Lane along with many other finalists has visited the headquarters of Google. It was then revealed that Gomez-Lane had won the contest. Sarah Gomez-Lane said that when people at Google called out her name, she was overwhelmed with joy. The moment was one of the greatest moments she has endured in her entire life. Gomez-Lane also said that the next thing that she is going to do is, her principle. Gomez-Lane is pretty sure that her principal is going to say ‘Yay’ for her victory. 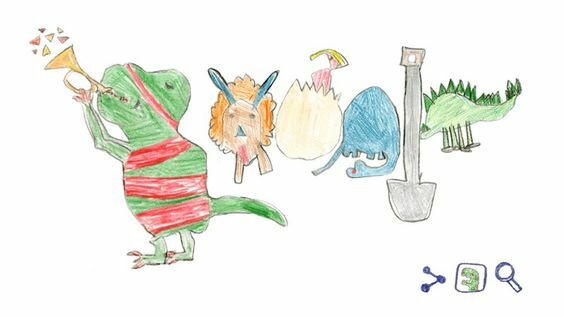 The theme of 2019’s doodle competition was “What inspires a kid?” and Gomez-Lane said that the giant prehistoric reptiles, dinosaurs inspire her the most as she wants to become a Paleontologist upon growing up. After Google has reportedly announced that the winner of this year’s Google Doodle competition was Gomez-Lane, the Doodle team of the company has reportedly worked with her and then transformed her drawing by turning into something beautiful. They collaboratively turned Gomez-Lane’s drawing into an interactive, animated Google Doodle. The Google Doodle Team’s Global Marketing Lead, Perla Campos was later spotted in a video which the company has released. 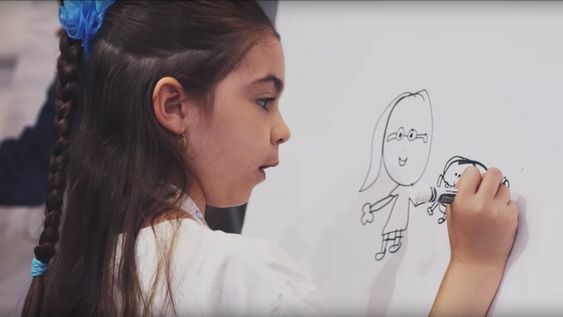 The video introduced the winner of 2019 Google Doodle competition, Sarah Gomez-Lane. In the video, Perla Campos said that she hopes when people see this doodle which a second grader has drawn will get them inspired. Campos wants people to be encouraged that they would not only think and dream about what they had wished when they were little kids. But also to take a minute of their time to enjoy the utterly simple things in life. Kermit the Frog, Jimmy Fallon and the National Teach of 2018 Mandy Manning, were the guest judges who helped to choose the recipient of the scholarship. Given that Gomez-Lane is only in her second grade, yet she has acquired $30,000 as her future college fund. This achievement has brought the second grader closer to her goal of becoming a paleontologist. Google has also made sure of the fact that Sarah Gomez-Lane’s school will also receive $50,000 for spending on technologies for helping the students such as Sarah to pursue what inspires them at a tender age.